Bronze Script is the lady wearing a hairpin. 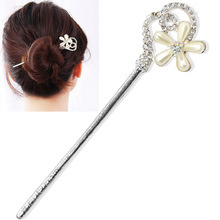 A typical hairpin with its usage is shown below. It can be a proof that living standard during Bronze Script period had been improved a lot from Oracle Script period. Clerical Script was very likely a continuation of from Warring State Era. It was then further transformed to our current way of writing - "女". So "女" means a lady. "女" can also be used to mean unmarried young girl. 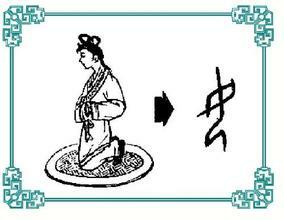 After "女" was created, it was used as a commonly used radical to help to create many more Chinese characters. We will see one in our next lesson.